“For Her” is a short horror film by Director Daniel Young and Viral Films UK. The film follows the progression of a relationship between a young couple. What begins in the style of a romantic comedy, progresses into chaos before reaching it’s bloody climax. The film revolves around a young man named Jonathon. Jonathon is seemingly good natured guy, whose undertake the responsibility of taking care of his bedridden girlfriend Elizabeth. As the narrator of the story, the film is presented through Jonathon’s perspective, essentially putting the audience in his shoes. The relationship between Jonathon and Elizabeth slowly deteriorates as the film progresses, transitioning from endearing affection to annoyance and contempt. This deterioration is exacerbated by the growing severity of Elizabeth’s illness and her increasing dependency on Jonathon. The stress of caring for Elizabeth takes its toll Jonathon, causing him to question his own motivations. Meanwhile, Elizabeth’s attitude towards him changes from that of gratitude to aggression and self entitlement. 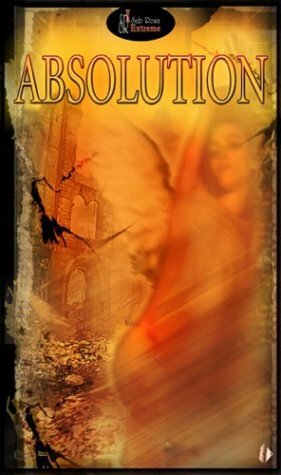 A darker side of her personality unfolds through her actions towards Jonathon. Conversely, Jonathon’s personality develops through direct interaction with the audience via narration. This provided a greater understanding of the two characters. Both as individuals as well as in relation to each other. As the film progressed, the care Jonathon showed towards Elizabeth has decayed from unconditional love to conditioned servitude. Losing all rationality and perspective he began unquestionably committing acts violence at Elizabeth’s will. He is exposed as weak willed and reliant on others for direction. By the end of the film, serving Elizabeth becomes his sole reason for living. He exist only “For Her”. At a run time of twenty minutes, “For Her” covered a wide range of themes. Each scene builds off of the previous one in a manner that felt natural and kept the story moving at a consistent pace. It neither felt rushed nor slow. Anyone expecting an unrelenting blood bath may be disappointed, as the gore is conserved for only a few scenes. However, the visceral effects that were present were done well enough to satisfy seasoned horror fans. Overall, “For Her” provides a terrifying glance into the darker sides of relationships and the savage nature of love. This entry was posted in b-movie bros, B-Movie Reviews, Written Reviews and tagged b-movie bros, B-Movie Reviews, Written Reviews. 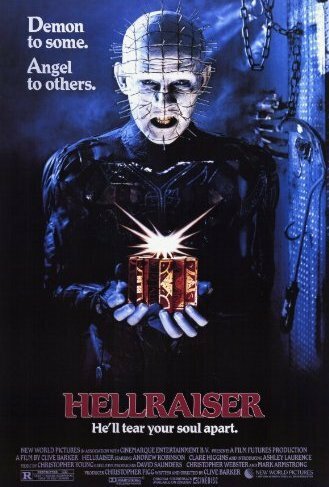 “Hellraiser” is a film that manages to disturb viewers in all the right ways. It blurs the already nebulous line between pleasure and pain, mixing love with cruelty in a way that provokes curiosity into the raw vulgarity hidden within our subconscious. It’s a violent and visceral experience, but takes meticulous efforts not to waste a single drop of blood. Despite the plethora of carnage there is no excess. Every disgusting detail serves to further explore a reality in which sin and vice are unfiltered by societal norms and where people wander endlessly in the pursuit of materialistic satisfaction. Within the tumult of lust and greed exist an order of demons referred to as the Cenobites. The Cenobites act as the gatekeepers of chaos. They shield us from the harsh realities of human nature and maintain order between the savage beast and rational being that make up the contradiction that is mankind. Through the Cenobites, we are given a glimpse into the darkest corners of the human soul, where fear and desire intersect and become indistinguishable from each other. A place we try to deny and turn away from, but is permanently engraved into our very being. 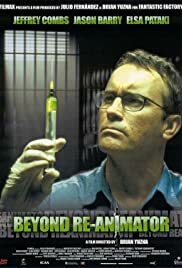 “Re-animator” series that began in 1985, Like most late installments, this movie comes off as unnecessary and a failed attempt to cash in on a popular title. In the fashion of “Jason goes to Hell”, “Freddy’s dead: The Final Nightmare” and “Halloween: H20”, Beyond Re-animator attempts to restart the series by trying to retcon certain plot elements while pretending to be a legitimate sequel. The result, as usual is a colossal mess of inconsistencies, leaving only the most superficial elements from the originals and leaving out the heart of what made the originals so beloved in the first place. We find our protagonist Herbert West imprisoned in a federal jail after his former assistant Dan Kain apparently turned him in to the authorities for his illegal experimentation. We never find out why Dan, a prominent character in the original films would do such a thing and Beyond Re-animator brushes off any details as unimportant. We’re also provided with no explanation as to how West escaped the cliffhanger conflict at the end of the last film “Bride of Re-animator”. scenario, rather than a genuine attempt to further an existing mythos. and ultimately dragged him down along with them and the rest of this film. series. Unfortunately, this experiment was a failure. 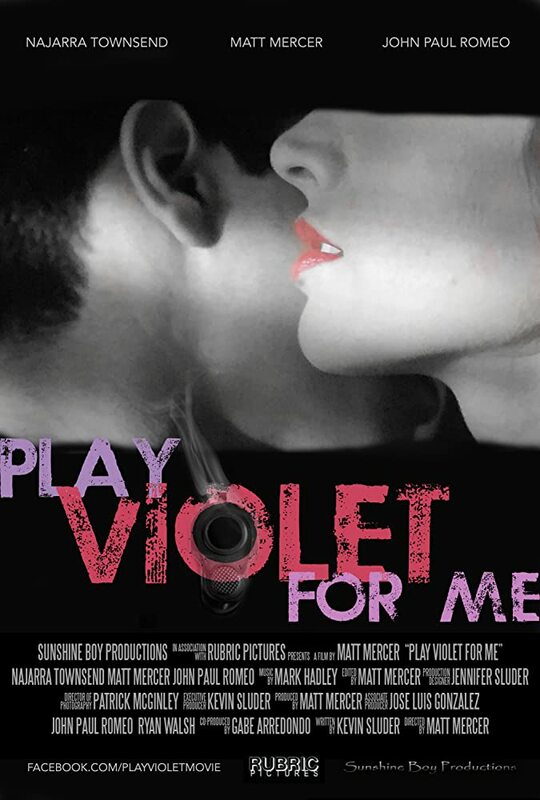 “Play Violet for me” is a murder mystery in the style of a classic Noir film. Foley, a stalker obsessed with a young woman named Violet, finds Violet murdered one night after following her home. He calls Violet’s identical twin sister Lyla to discuss the murder and affirms his innocence. The film transitions between the present day and the past, showing the exchange between Foley and Lyla as well as scenes of Foley’s increasing obsession with Violet up until her murder. The present is shown in black and white to portray the somber overtone of the murder being discussed. Conversely, the past is represented in bright and vibrant colors, symbolizing Foley’s idealized version of the past. After listening to Foley’s story, Lyla confesses to murdering her sister and claims that she was actually Violet all along. Foley’s failure to identify Violet reveals his obsession as nothing more than him projecting character traits onto someone he never actually knew. This exposes his feelings as superficial and lacking justification in reality. Violet had used Foley’s obsession to set him up as the main suspect of her sister’s murder, placing him at the scene of the crime. In the end it’s uncertain whether the murderer was in fact Violet, or Lyla playing her sister and taking on Violet’s identity. This film questions the very concept of identity and whether our perceptions and the qualities we attribute to ourselves and others define reality. This movie is so forgettable that I’m having trouble coming up with anything to say about it. The plot revolved around an area in the woods called “Blanchard Hill”, that was cursed by the restless souls of a native tribe. The souls would possess people who entered the woods and have them kill any white people they encountered as revenge for how they treated the natives in the past. The story has potential, but the execution is extremely poor. Most of the scenes have little to no connection to the plot and are nothing more than filler intended to extended the length of the film to full length status. It’s obvious that the film crew had little to no budget while making this movie so they were unable to really include any nature related deaths. This resulted in the film looking more like a typical demonic possession story told poorly. The themes and moral lessons present in “The Curse of Blanchard Hill” are heavy handed and come off as trying to hard. There’s really no point in watching this movie, unless you plan on sleeping for an hour and fourteen minutes. and technology restrictions that the film crew had available.